The final curtain fell at Agora Istanbul. With his closing remarks the seven-year long AEGEE career of Zvonimir Canjuga finally ended. 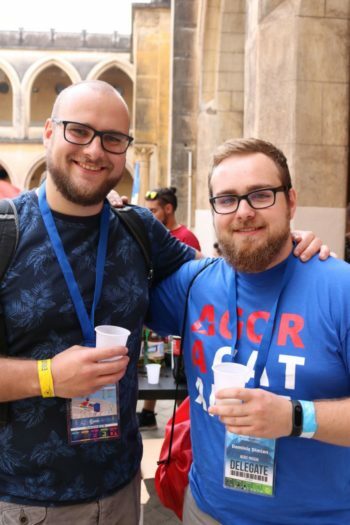 AEGEE-Zagreb President, CD member and Agora Vice-Chair were just some of his many tasks, which he all did with passion, dedication, intelligence and a big heart. For the Golden Times Zvonimir looked back at those years, but also at the two recent Agoras in particular. 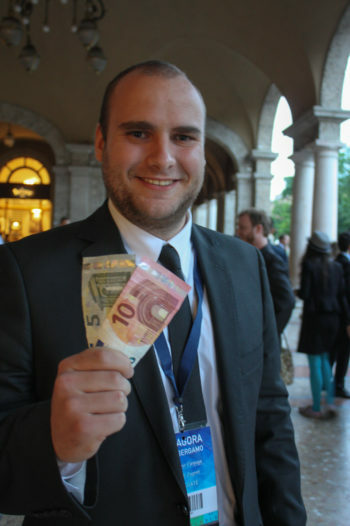 Golden Times: Zvonimir, you finally retired from AEGEE after Agora Istanbul. Do you regret your decision? Zvonimir Canjuga: This decision was not out of the blue. I took some time for myself to figure out what I want to do, and if I can contribute more to this organization. 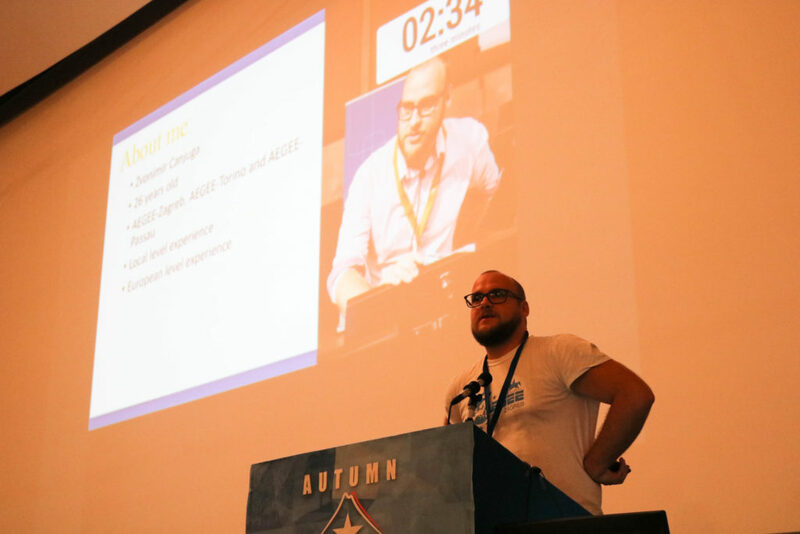 I started to feel that AEGEE started to exhaust me more that I would want it to do that. It is now almost seven years since I joined, and I believe I have done everything that I wanted, and I tried to do it to my best knowledge and expertise. It was a sad and emotional Agora, because during the closing plenary it finally hit me: it is over… However, I do not regret anything. 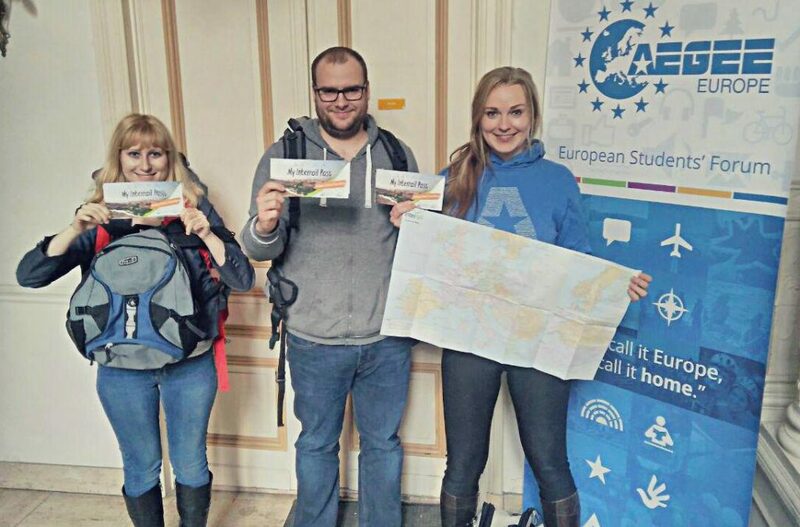 AEGEE can be many things, for example stressful, but motivating or complex but naive. I experienced many things: real love, new friendships, drunk nights and days, parties, hard work, the sense of grown-up responsibility. It made me a better man that I was before. Now new challenges are ahead of me, and I am looking forward to it. GT: Your antenna awarded you honorary membership recently. Did you expect it? And what does it mean to you? Zvonimir: During the last general assembly of AEGEE-Zagreb, the board decided to award me honorary membership. There are no words to describe how I felt then, as I did not expect it. Only few awesome people have this honor in AEGEE-Zagreb and I am really proud of it. But I would not have been able to do what I did without of the support of lovely people of my local. They gave me their trust to lead, and together we did an amazing work during the years, so yes, I got the award, but this is also an award for all those lovely people, my friends that were with me all those years investing all of their love, time and passion in common goals. Zvonimir running for Chair at Agora Catania 2017. GT: Let’s talk about the Agora in Istanbul. In terms of the organisation it was quite a challenging event. How do you see the Agora organisation overall and how did it impact your role as a Vice-Chair? Zvonimir: Looking back and thinking about what organizers were going through, I believe they did their best to carry it out. I wish we had more communication between local organizers and Chair team, but this whole situation is so complex it is maybe better to leave it in a past. Réka certainly brought them a whole new set of working habits, expertise, ideas, and tireless devotion to the project. We as Chair needed to approach every situation differently and push ourselves to be more determined than it was necessary on other Agoras. However, this is the magic of event management, it is so complex and so complicated, that it challenges you to modify your behaviour, to learn new stuff and handle a lot of stress. Zvonomir running for Financial Director at Agora Bergamo 2016. GT: There were quite a lot of Agora proposals in Istanbul. Which ones do you see as especially impactful for AEGEE? Zvonimir: None. I really do not get this fascination with proposals as they all are shrinking the creative space within the organisation. We are adding more rules, restrictions and useless patterns how to do things, which is reducing the potential of our members to shine with their ideas and projects. The framework of the organization should enhance and support our members and simplify things, to make them easier, but I do not believe this is the case in AEGEE. As long as we are spending more time dealing with bureaucratic stuff, we will become slower and more ineffective as an organization. GT: Talking about Agora in Kraków and Agora Istanbul in general, what were your personal highlights regarding your work in the Chair Team? Zvonimir: Well, it is for sure working with Tekla, Eyrin and Sergey. Those amazing people lived for those two events and they all did an amazing job. Every day we spent working on it was a pleasure and I am really happy that I was part of the team. Also, I would highlight that Shell nonsense that happened in Kraków. There were people fighting for their beliefs and values with a noble cause, but those actions could have damaged the amazing work the organizers did and potentially ruined their reputation and all other aspects of the project and the local. We can all fight for our values and beliefs, but if we put our organization as a platform for activist work at risk, then we would lose it quite soon. Ways on how to fight such causes need to be thought trough to minimize the risk for AEGEE and to protect its financial stability and all other aspects. GT: Sometimes you had a hard time getting the Agora participants under control. What makes it sometimes so difficult to handle the plenaries? GT: There are constant talks about Agora reforms. What would you change? Zvonimir: Less proposals, more time for members to share ideas, projects and time to create real partnerships within locals for specific activities – such as projects, events or other actions. And I would like to see a more digital Agora. GT: You had a long AEGEE career: antenna president, EQAC speaker, CD member, Vice-Chair – did I forget something? Zvonimir: Member and vice-speaker of the Human Resources Committee, AEGEE Day ambassador, two-term sub-commissioner in the Netcom and some more. It was a lot of positions and work done as you can imagine, but the real delight is to see those bodies develop even more after you. I can say during my time in some on those bodies we managed to set some initial rules and working habits to the best of our knowledge – and we saved them from losing members. GT: Do you remember particular situations where you in hindsight would have done something differently? If yes, what? Zvonimir: I would have invested more efforts in team building of my CD 54, but I do not see that it would have made any impact to change things. GT: You surprised a lot of people when you ran for financial Director at Agora Bergamo. What motivated you to do this? And did you expect so many questions as a candidate? Zvonimir: I wanted to go to Brussels for a long time, meaning that I wanted to be a CD member at one point. Just living there in Brussels and being a Director is enough of a challenge to motivate a person. Also seeing a vacant place for such an essential position in the organisation was really surprising. I felt that the organisation needed me and I applied. I did not know what to expect in Bergamo, but the size of the question line was respectable. If we have such an interest in asking questions to all candidates, we would elect far more better candidates and have a better insight in their actual plans and expertise. GT: You were in the CD when we saw quite some backstabbing and intrigues in the presidential election 2017. How did this election make you feel? And how can AEGEE do better? Zvonimir: My friends from my CD had their reasons and I would not like to go into them, as I never did, nor will I understand their action. We had one agreement before the Agora; they decided to break it, and thus knowingly destroyed the team and trust. Even if it was all about another person, I believe we all felt betrayed and devastated by such actions. But as I said before, it is a democracy, it is naive to think that democracy is perfect. It can be nice and transparent, but it also can be nasty and mean. With that situation we are not better than any other democratic system of any country. It is just a smaller environment. During that Agora, we saw all faces of democracy. 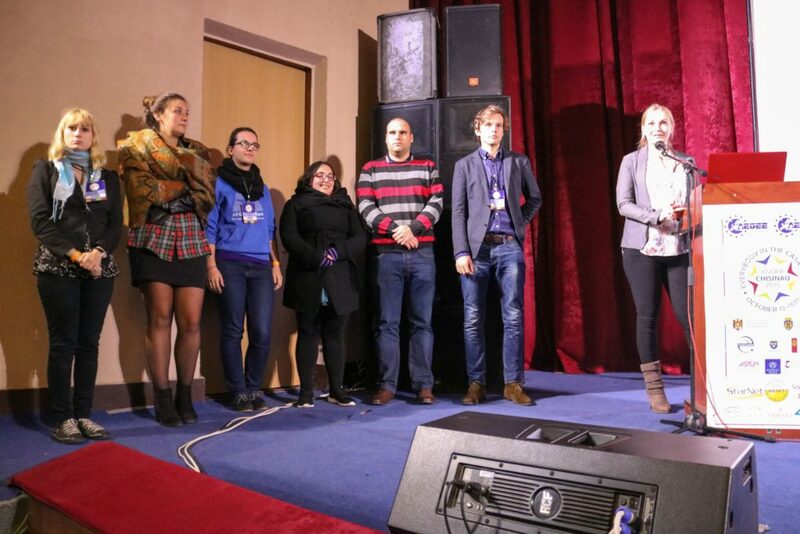 Zvonimir and his fellow CD members at Agora Chisinau 2016. GT: Are there any funny or moving stories from your time in the CD that you could share with us? Zvonimir: Of course there were. We had many of such moments and it would be unfair to think of my CD as a CD that did not work out as a team. In the end I think we were quite an effective CD. If you compare it to CD 55 and what happened there I think we were quite ok. I just consider all those moments are private moments of the seven of us and I would like to keep them for myself. We had good and bad moments, like any team had. Zvonimir: Oh, I must congratulate them on tolerating my time with AEGEE. At first they did not realize what I did but that slowly changed since Agora Bergamo. Without their support and blessing I would not have been able to do the CD year. Now they even see that I miss it a bit, as my mother is asking about many of my friends, and I say I do not know, as I am not following things within AEGEE like I used to. GT: You just started working. Where do you work now? Zvonimir: I started to work in my field of interest, audit. I started to work as Audit intern at Ernst and Young. Zvonimir at Agora Kraków, with Michele Turati, coordinator of Les Anciens. GT: Did AEGEE help you find the job or did it prepare you in some way for the job? Zvonimir: Of course it helped me. 70% of my CV is AEGEE stuff. During the live interview with EY managers we spoked about things I did in AEGEE so I believe it helped me to get this job. 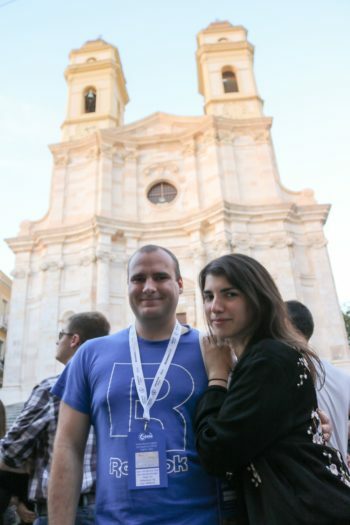 GT: Which AEGEE or Les Anciens events are you planning to visit in 2019? Zvonimir: Except crashing AEGEE-Maribor’s New Year’s event just for the New Year’s party I do not have plans yet for 2019. There are some events confirmed for Les Anciens, but as I don’t know my work obligations I cannot fully plan any event.